Too Much to Clean in Too Little Time! I can’t be alone when I say that I spend way more time cleaning than I’d like to. I mean I have a husband, a five-year old and two dogs let me tell you they make A LOT of mess! That’s why the bottom line is: I have no time for products that don’t do the job first time. 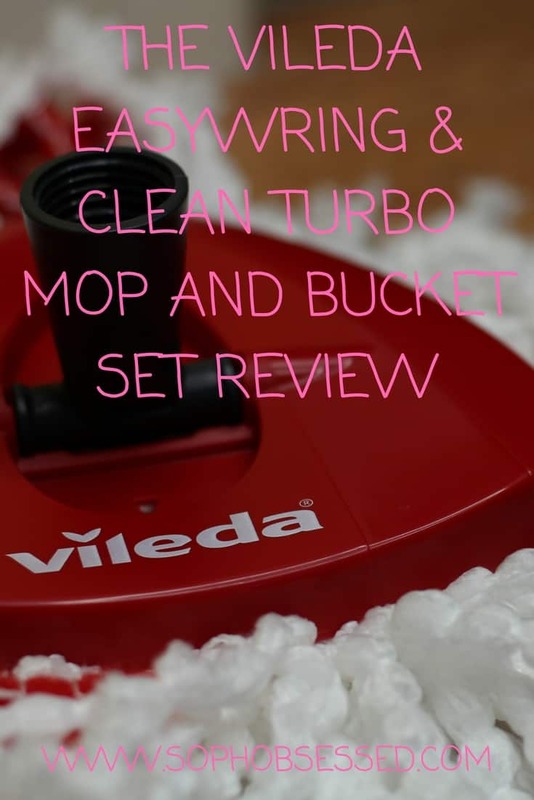 For this reason I was so happy to try the NEW and IMPROVED Vileda EasyWring & Clean Turbo Mop and Bucket set!! When a product tells me that it can make cleaning my floors quicker and easier it is music to my ears BUT it’s often a promise left unfulfilled. 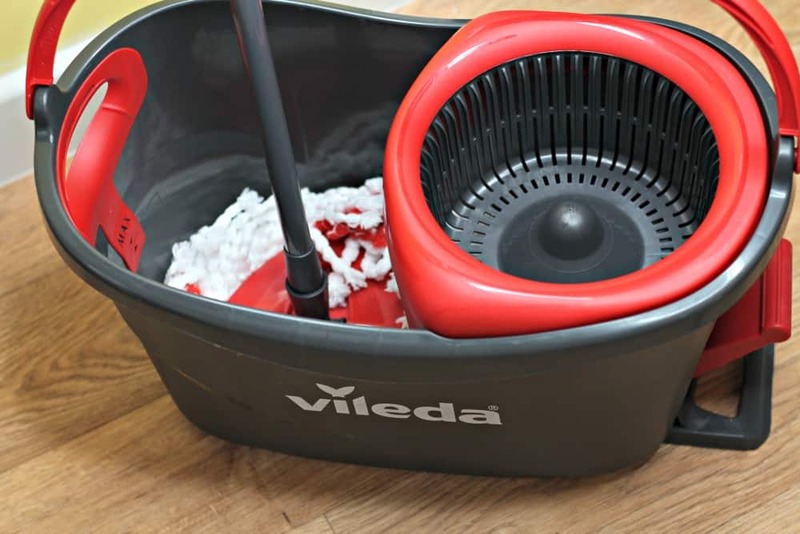 The Vileda EasyWring & Clean Turbo Mop and Bucket Set has an integrated wringing mechanism! Say what! Not that I’m too posh to wring out my own mop BUT this is beyond amazing to me! You simply apply pressure to the foot pedal and it removes water from the mop. You can even control the dampness by the pressure that you apply to the pedal! Fancy right?! 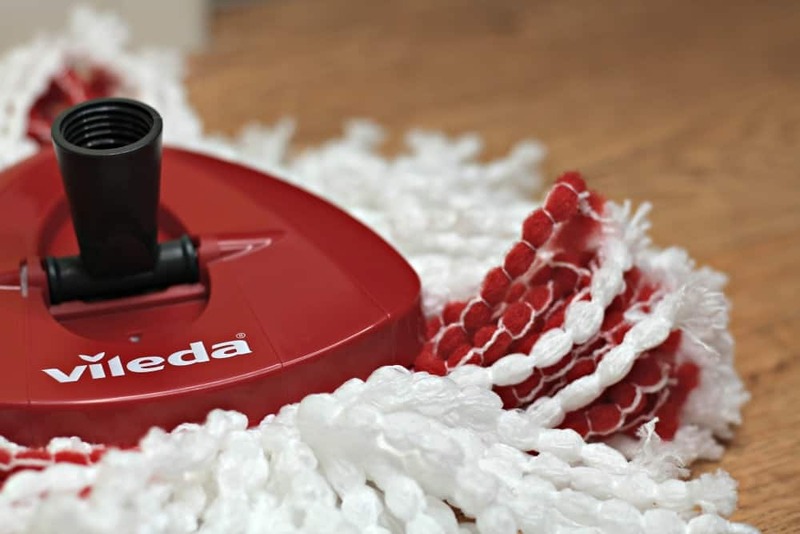 Tell me I need to get out more but it made mopping my floors a teeny bit more fun I wont lie! The mop bucket has a nice comfortable handle which makes carrying even a full bucket easier and I loved that it was easy to pour the used water away at the end of cleaning! 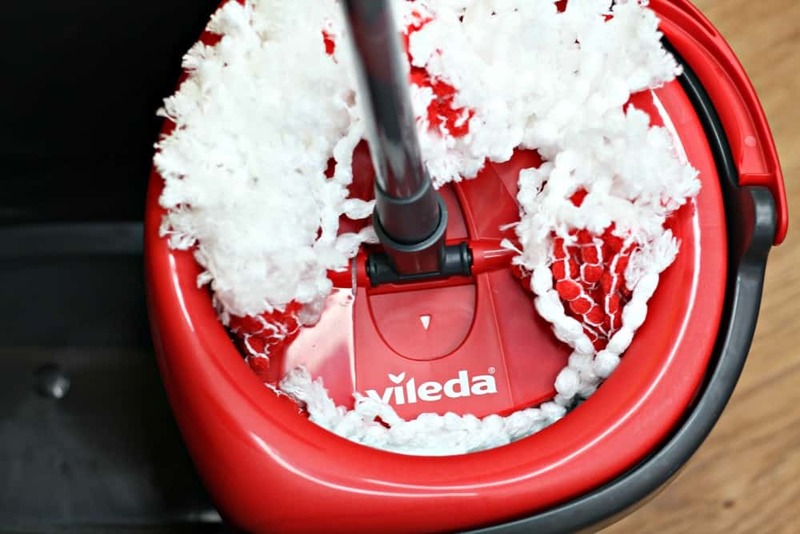 The mop has a telescopic handle which is convenient for each individual. It certainly saves me having to reach over which is a back saver for sure! 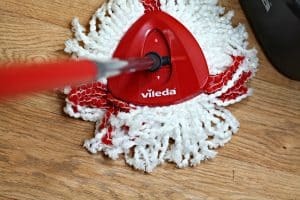 The mop head is microfibre in a triangular shape which makes getting into the corners and right up to the edges against my cabinet a complete breeze! The best part is when I’m done, I can toss the mop head in the washing machine and then reuse it all over again! Mopping floors isn’t my favourite pastime I have to be truthful. It’s a job that is entirely necessary particularly with two dogs, one of which that isn’t fully house trained yet but one I’d much rather dodge. The problem I find with mopping is that I feel like I’m just pushing dirty water around the floor. Thinking of what might be lurking in the head of an old mop is enough to keep me up at night for a whole week. Having a five year old and having a suppressed immune system myself means hygiene has to be paramount. Being able to just throw the microfibre head in the washing machine when done is a huge advantage for me. Having an integrated wringing mechanism takes a huge part of the effort out of mopping and also means that I can control the level of dampness. 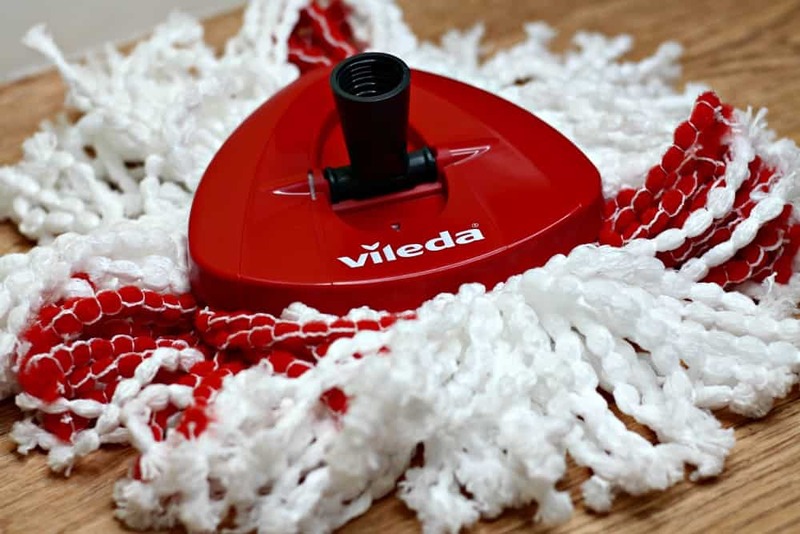 With a triangular-shaped mop head it means that there is no ‘missed bits’ and the job is done in a fraction of the time. Would I still rather someone mopped my floors for me? Absolutely. Is that ever going to happen? I highly doubt it! Until then I have to say having the Vileda EasyWring & Clean Mop & Bucket will most definitely make my life easier. 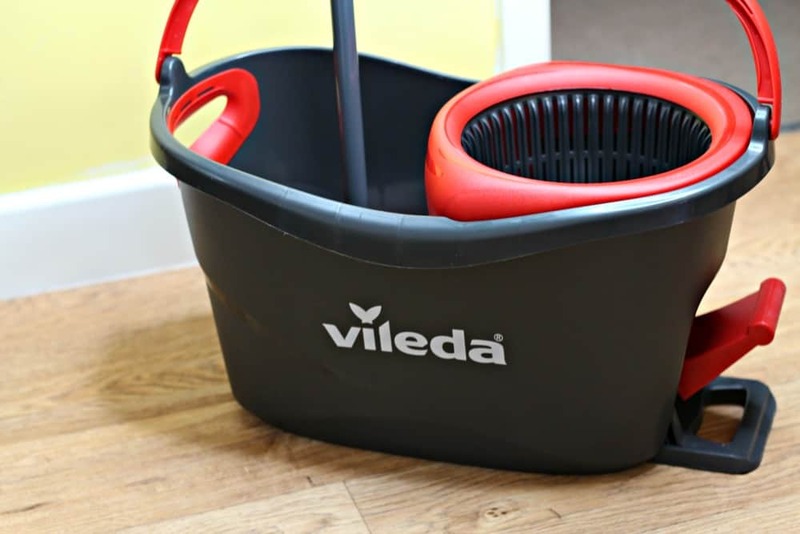 If like me you want to make cleaning your floors easier, head over here to the Vileda website. 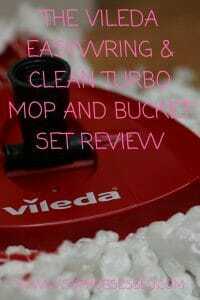 * I received the Vileda EasyWring & Clean Turbo Mop and Bucket Set in return for an honest review. As always all views, opinions and words are my own. For more information please see this page here.